If you like a tipple and a nibble (and really, who doesn't? 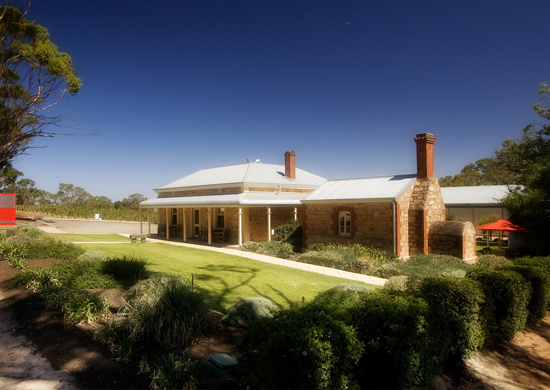 ), the Barossa is just the place for a wine-infused weekend away. But, with 13,256 hectares of vineyards and 755 grape growers, a visit can be daunting for even the most sophisticated palate. Grenache, Cab Sav, Mataro, Riesling and Semillon are all there just waiting to be tasted. And then there's the produce plates loaded with cheese, meats and local delicacies. Where do you begin? Here's a run down of our favourite spots in the Barossa Valley that will ensure you eat, drink and stay merry all weekend long. What better way to start your foodie weekend than a visit to the Barossa Farmers Market in Angaston? Open every Saturday from 7.30-11.00am, you can check out the amazing range of stalls selling fresh produce, breads, small goods, pastries, olives and olive oil. Probably the first name that springs to mind when you think Barossa, the pheasant doyenne offers a tasty and picturesque stop off. Crowded at times, this gorgeous farm shop lets you sample all of Maggie's wares and even pop into the kitchen for a token photo. 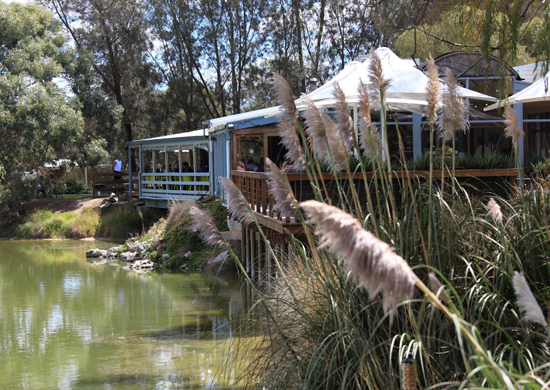 Come for lunch and grab a picnic basket to enjoy down by the lake or wander through the olive groves and visit the birds that made her legendary in cooking circles. The Cellar Door experience allows you to sample six different growing regions around South Australia and Victoria: Barossa Valley, McLaren Vale, Langhorne Creek, Clare Valley, Padthaway and Heathcote. For a tasting fee of $5 you can try a range of white and reds along with a small plate of bread, olive oil and cured ham. Not only do you get to enjoy your tasting in a charming, friendly environment, but you also get to feel charitable with the tasting fee donated entirely to the Uganda Project. It's a big call, but Kellermeister might just have one of the best views in the Barossa. And better yet, you can sit outside with a glass of wine while you soak it all in. If you visit during winter months and it's too cold to sit outdoors, there's a cosy open fireplace to snuggle up to. Check out their gourmet platters based on local artisan cheeses, locally smoked salmon or smoke house meats. In the heart of downtown Tanunda you'll find this quaint workers cottage housing some seriously good grub. The dining rooms each have an open fire place and the friendly staff make you feel right at home. Choose from classic dishes such as roasted beetroot salad with Barossa chevre, roasted pork belly with caramelized onion and white pudding or grilled lamb rack with braised shoulder and crisp polenta. What's your favourite foodie destination? Let us know in the comments below! TUL Note: Penny is a freelance food writer and obsessive cook, who has returned to Brisbane after ten years living in the UK and Melbourne. She is currently taking her passion for sweets treats one step further and learning the skills to become a pastry chef from her culinary idols, documenting her experiences through her blog Project Pastry.